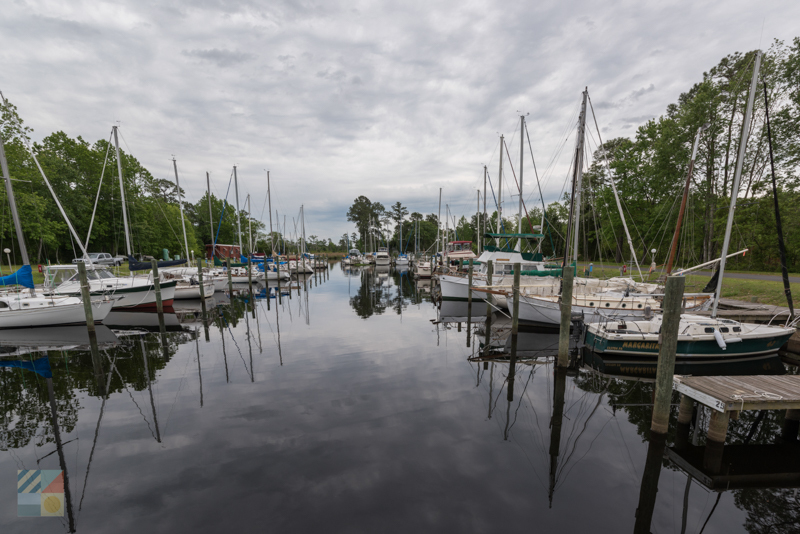 Because New Bern is effectively surrounded by water on three sides, mariners will find no shortage of options when it comes to exploring the local watery landscape. 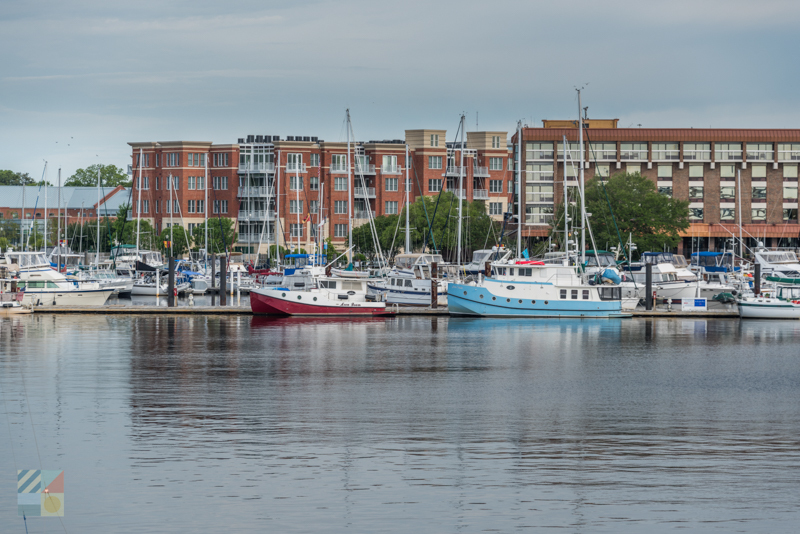 The Neuse River borders the northern and eastern regions of the downtown area, and is a nice and wide area to explore for mariners of all varieties. Meanwhile, the Trent River cuts through the southern region of the town, effectively separating the town of New Bern from the massive Croatan National Forest. 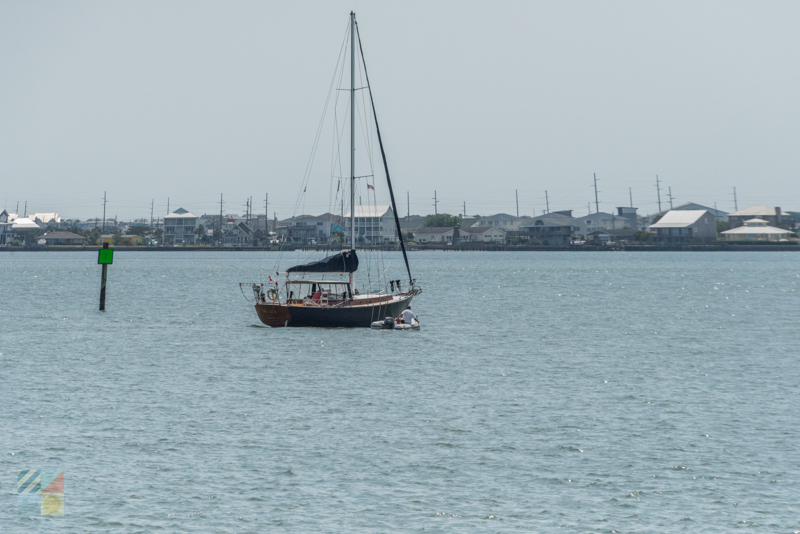 Along either wide waterway, mariners will find a number of creeks and channels that are perfect for fishing, nature expeditions, or kayaking adventures. New Bern is also conveniently located along the Intracoastal Waterway (ICW) with a waterfront downtown area that is easy to explore on foot. As a result, ICW travelers can easily dock for a day or two, and find everything they need in the surrounding area without a car rental – including restaurants, groceries, marine supplies, attractions, and much more. With miles of water in every direction, and plenty of ways to stay entertained once a mariner steps off their vessel, New Bern earns its reputation as one of the most popular vacation destinations for boating enthusiasts of all varieties. When it comes to finding a spot to drop anchor, visitors will be happy to discover that there are literally hundreds of boat slips in and around the New Bern area that can accommodate transient mariners. Best of all, because of the sheer variety of the local marinas, hotels, and public boat dock, virtually every type of traveler or stay can be easily accommodated. Mariners who want to rest on land for a night or two can stay at a local hotel that can feature a number of on-site amenities, such as private balconies with waterfront views, community swimming pools, and access to a host of area restaurants. For a day trip, the town of New Bern has several city docks at centrally located parks where it’s easy to step off a boat, and step into the heart of the historic downtown scene. 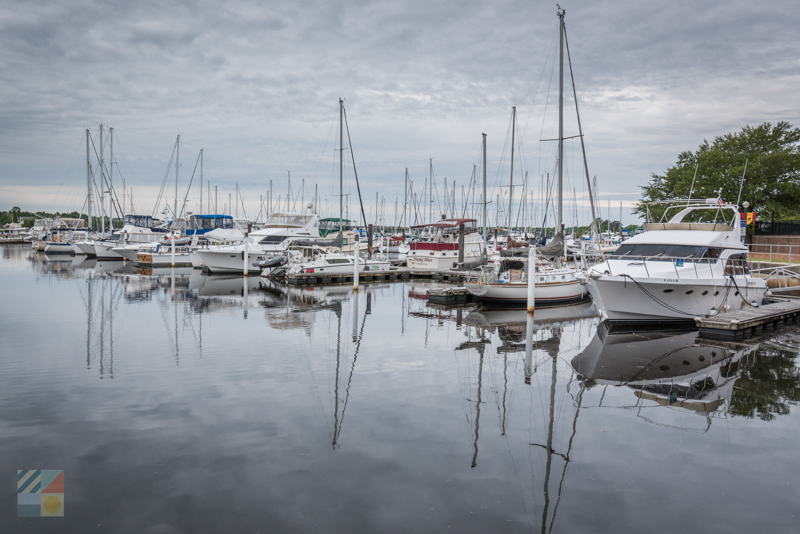 In addition, the local marinas can feature a host of amenities, including on-site gas and fuel, ice and marine supplies, community laundry facilities and bathhouses, recreational amenities such as pools or game rooms, and much, much more. 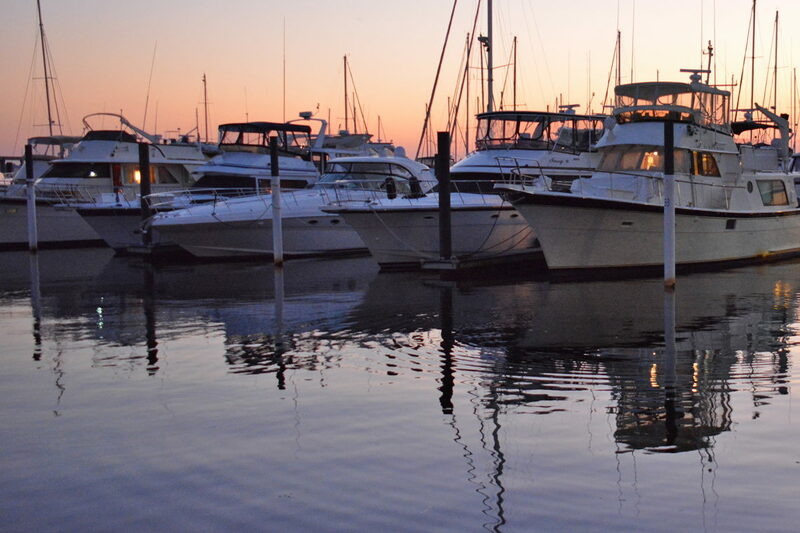 From the local yacht clubs and extensive marinas to the perfectly located docks where it’s easy to access everything New Bern has to offer on foot, the facilities for mariners in New Bern are certainly far reaching, and can accommodate all tastes. 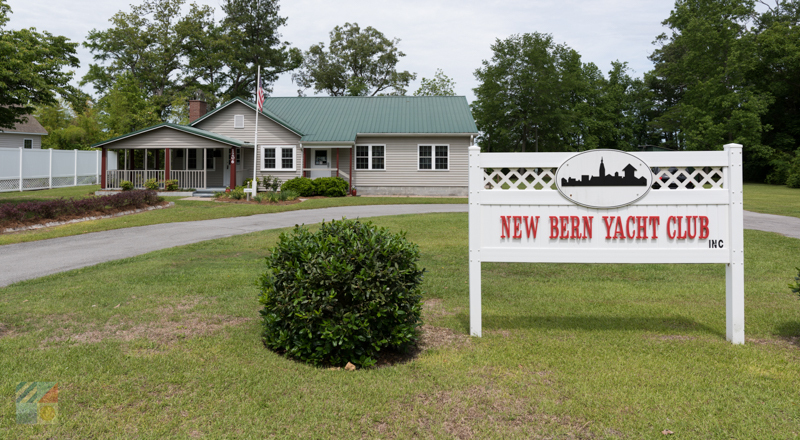 Mariners who are planning a stay in New Bern will want to check out the following destinations for accommodations for a couple hours, a night, or even a month or two. Visitors who are bringing their own vessel along to New Bern will find plenty of spots to ease into the water and begin an area-wide exploration. With numerous public boat ramps that can accommodate vessels of all sizes – from kayaks and canoes to grand sailboats or yachts – finding a launching point is a breeze in this coastal Inner Banks town. 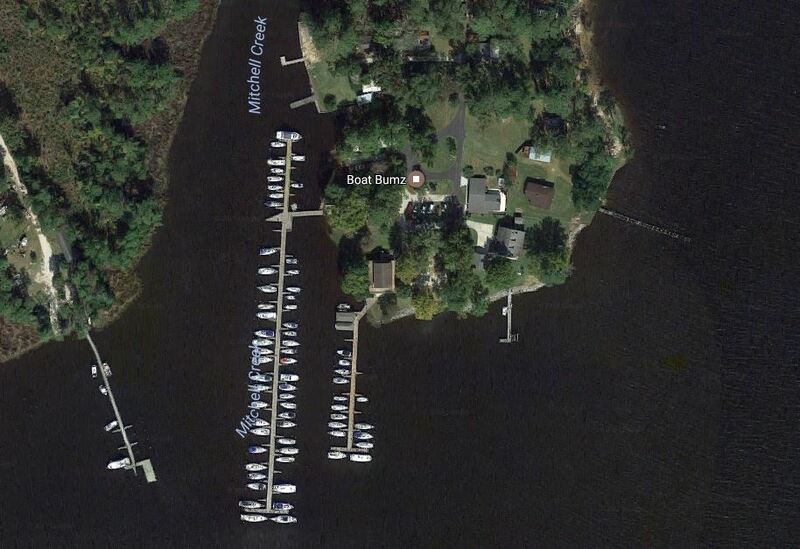 Regardless of where a mariner stays, a boat ramp or launch site is roughly just around the corner. To start your exploration of the Trent River, the Neuse River, or the endless number of creeks and canals that are found in between, check out these sites where getting into the water is an effortless venture. 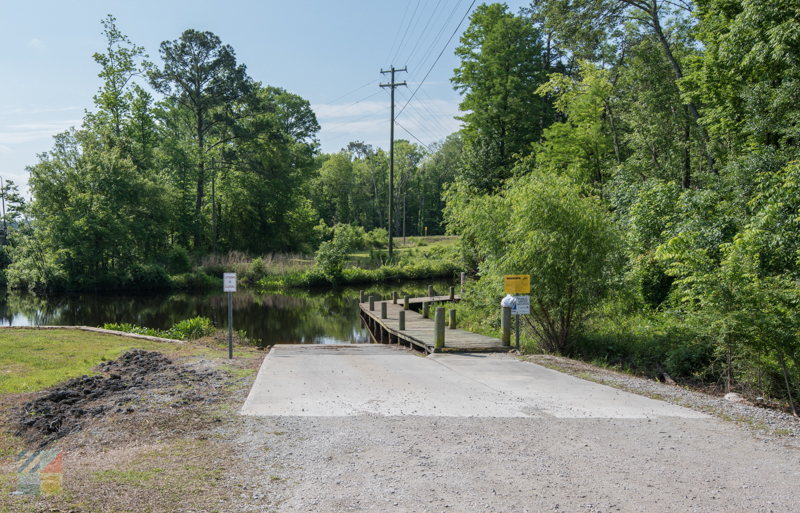 This boat ramp is located in the Croatan National Forest and accesses a skinny section of Brices Creek as well as Georges Branch. 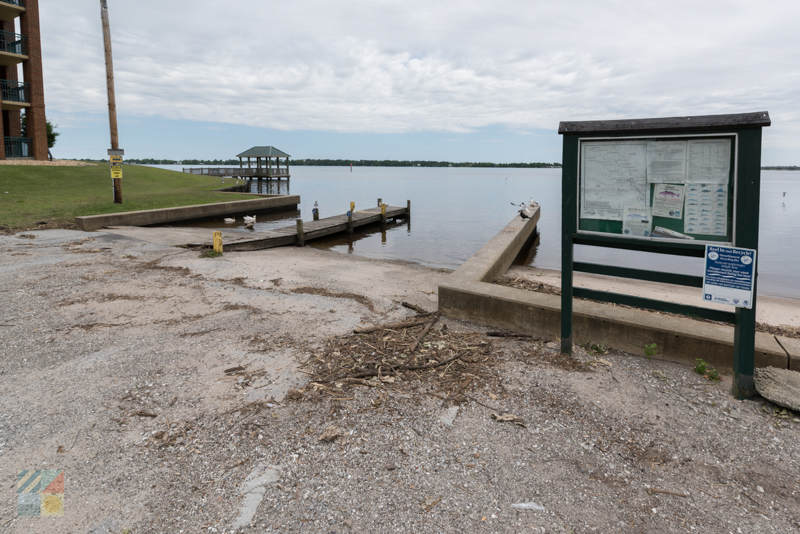 The boat ramp features 14 parking spaces for vehicles with trailers, as well as additional parking spots, a fishing dock and pier, a picnic area, and public restrooms in the form of vault toilets. 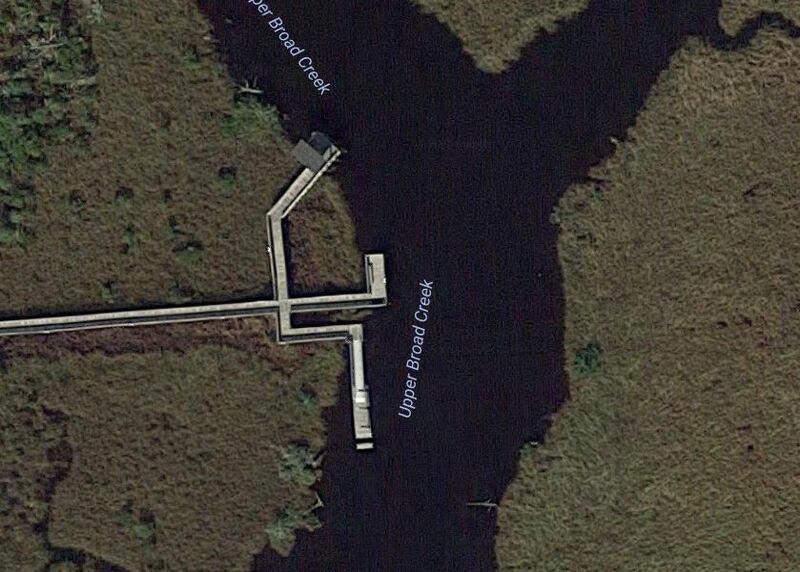 The Bridgeton Boat Ramp is located just north of New Bern, and is easy to reach for travelers along US Highway 17. 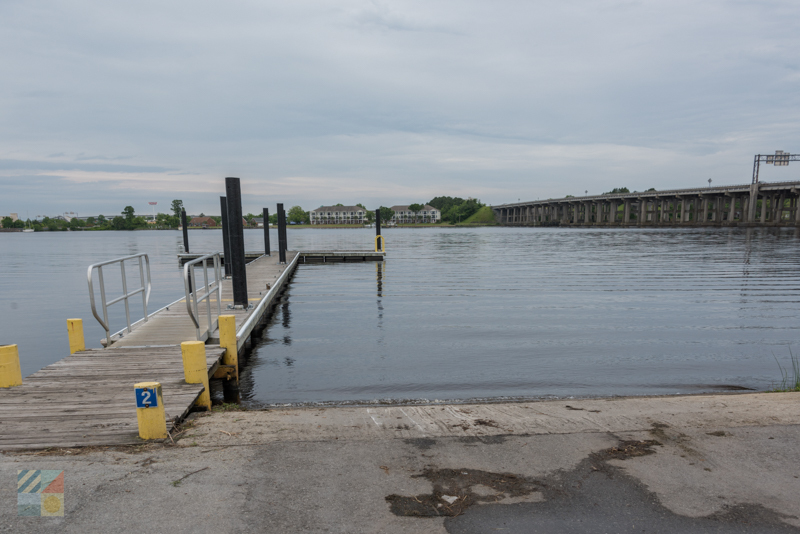 The ramp accesses a wide section of the Neuse River, and features a single launching lane and a courtesy dock, as well as 20 boat trailer parking spaces, and additional spots for single vehicles. 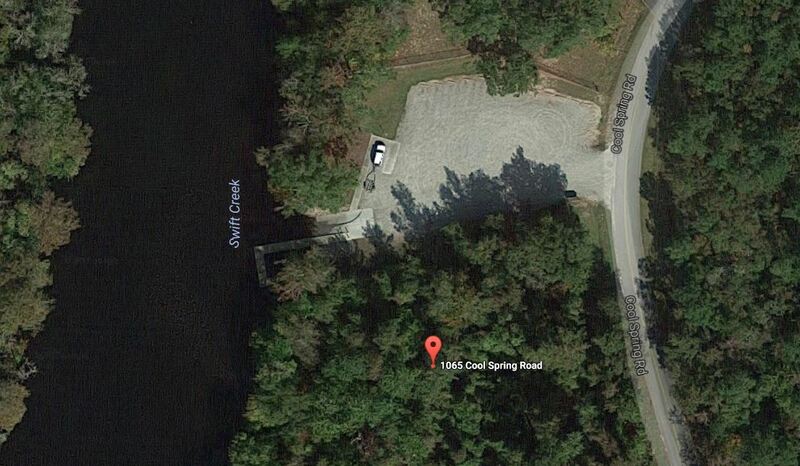 The Cahooque Creek Recreation Site Boat Ramp is located just south of New Bern in the Croatan National Forest, and it connects with the moderately sized Hancock Creek, which in turn leads to an extra wide portion of the Neuse River. The boat ramp site offers modest parking, as well as a single lane ramp and a courtesy dock for visitors. 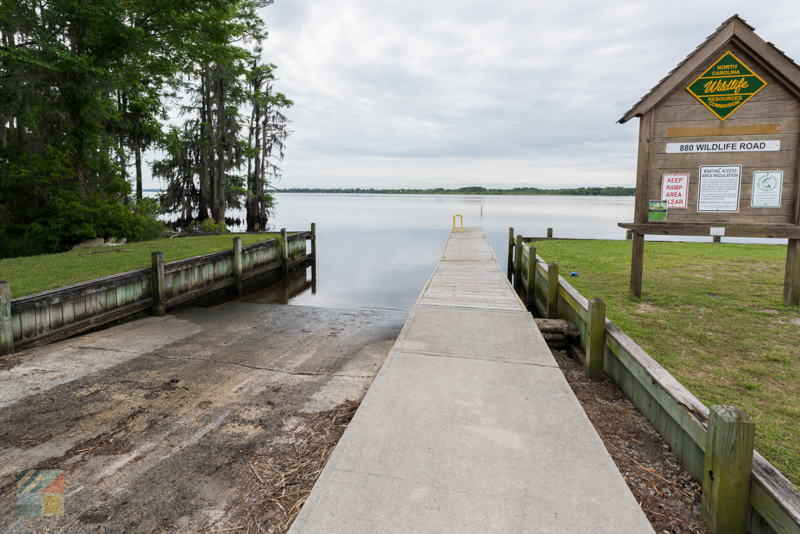 This boat ramp is situated on the edge of the public Glen Burnie Park in the quieter northern section of New Bern, and features ample facilities for mariners including two launching lanes, multiple courtesy docks, and nearby restrooms in the main park area which are seasonably open. 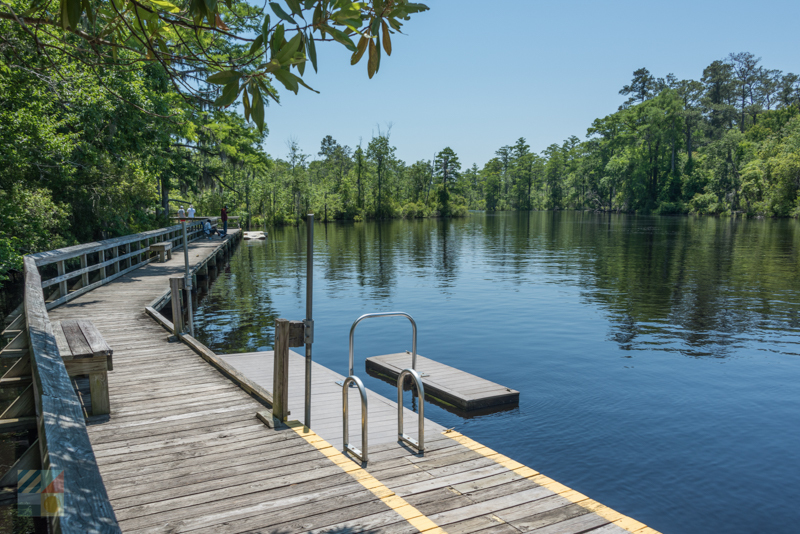 The boat ramp accesses the Neuse River, which includes a skinny section of the river to the west that is ideal for paddlers, as well as the wide downtown-bordering region of the river to the southeast. This launching site in the heart of the Lawson Creek Park is easy to reach for downtown visitors, and offers two separate launching areas that connect with the Trent River, and eventually, the Neuse River. Launching area one features three launching lanes as well as courtesy docks, while launching area two features two launching lanes as well as an on-site courtesy dock. The park facilities also include ample parking areas, restrooms, and a pavilion for picnics. 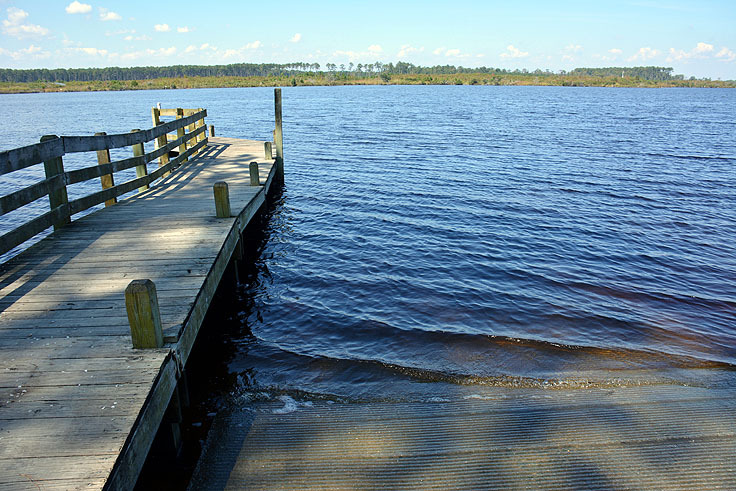 The Slocum Creek Boat Ramp is located in the nearby town of Havelock, and connects with a skinny creek which in turn leads to a wide section of the Neuse River. The area which is located on the edge of the Croatan National Forest features parking for roughly 15 vehicles with trailers, as well as a single lane ramp and a courtesy dock. 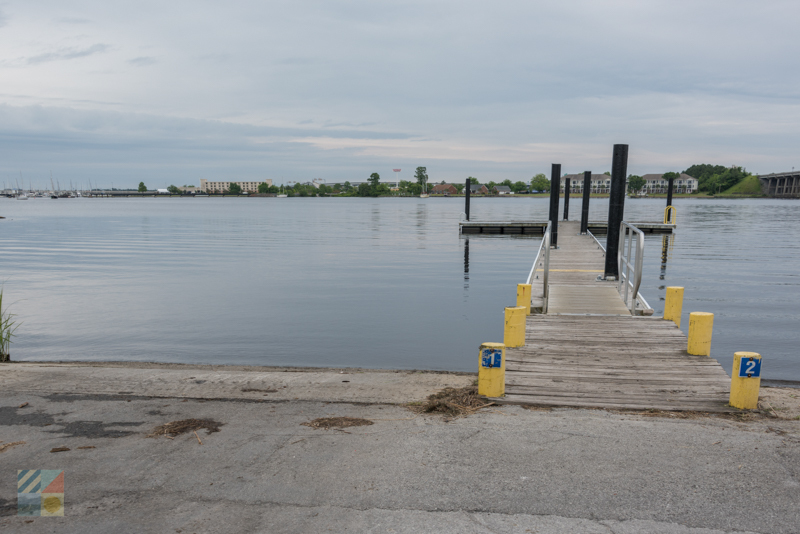 The Union Point Park boat ramp is in the heart of the downtown area, and is just steps away from a wealth of restaurants, shops and area attractions. The site is on the edge of one of the widest sections of the Neuse River, and features 8 parking spaces for vehicles with trailers, 2 launching lanes, a courtesy dock, and public restrooms, as well as park facilities including picnic areas. The site is very popular due to its central locale, so mariners will want to arrive early to secure a parking spot. 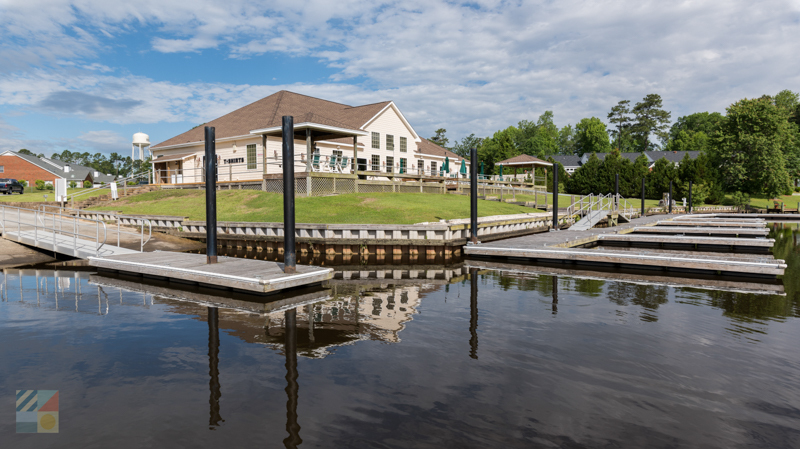 The Creekside Park Hand Launch is a small launching facility that is best suited for kayaks and canoes, and which is located in the heart of Creekside Park – a small public park found south of the downtown area in a more residential section of New Bern. The site features modest parking and accesses a skinny collection of creeks, which are perfect for beginning paddlers of all skill levels. The Latham Whitehurst Hand Launch is situated on a scenic section of the Upper Broad Creek, and is an ideal spot for kayakers and canoers who want to explore a wild region of the Inner Banks. 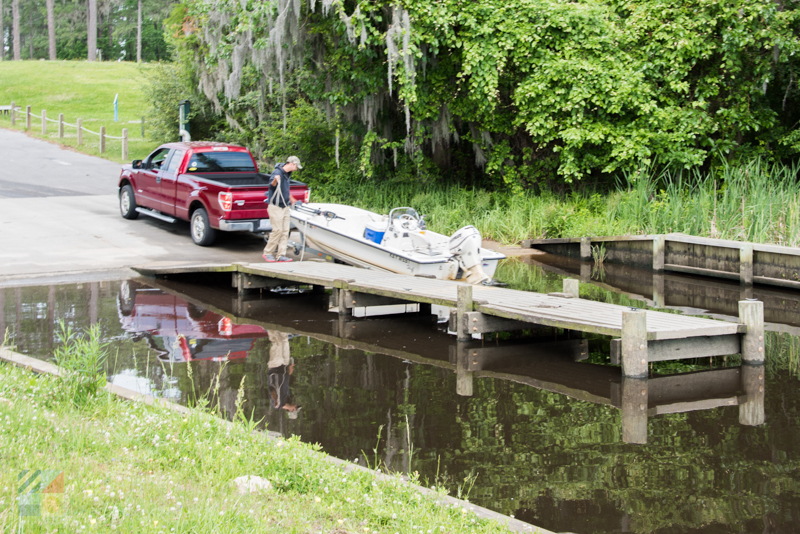 Located just east of New Bern close to Highway 55, this site features rugged parking, and a small dock that extends to the water’s edge and which can accommodate both paddlers and anglers. Restrooms, a picnic shelter, and picnic tables are also located on-site for day trippers and visitors. 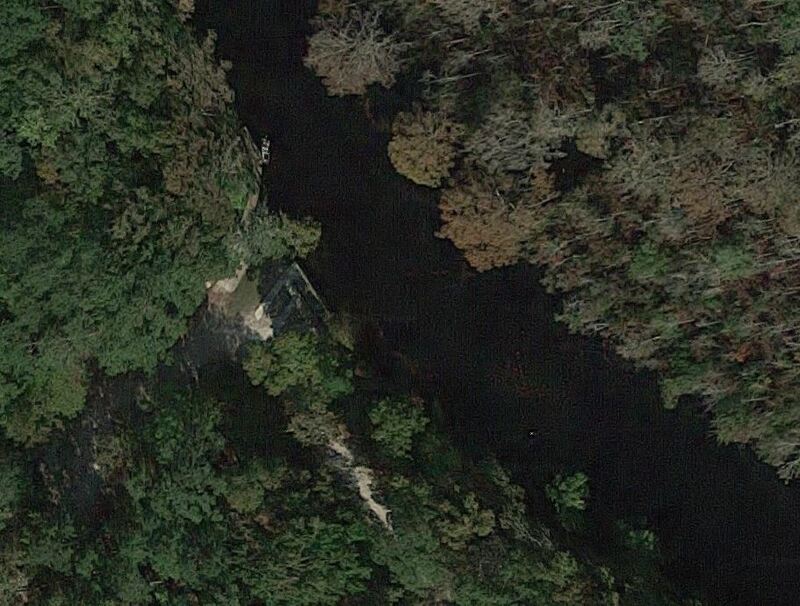 This wild launching site is located on the edge of a narrow section of the Neuse River, just north of the city center. The Cool Springs facilities features 15 parking spaces for vehicles, as well as a single launch lane which eases into the adjacent Swift Creek. Because of the network of water trails that veer away from this central launching point, the site is conducive to boat mariners and kayakers alike. This launching site is located just north of the downtown area and connects with a popular and moderately wide section of the Neuse River. 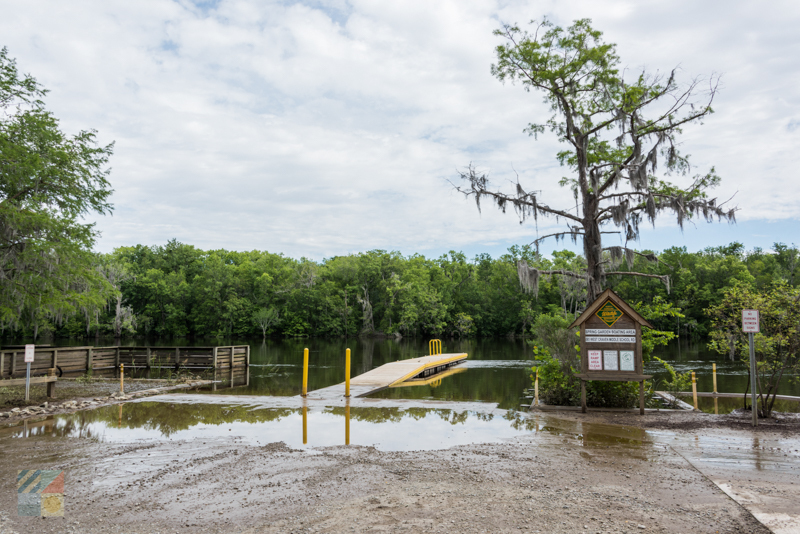 The site can be accessed via US Highway 17 / NC 43, and features 30 parking spaces for vehicles with trailers as well as a concrete launching lane and small pier / dock which extends into the river. 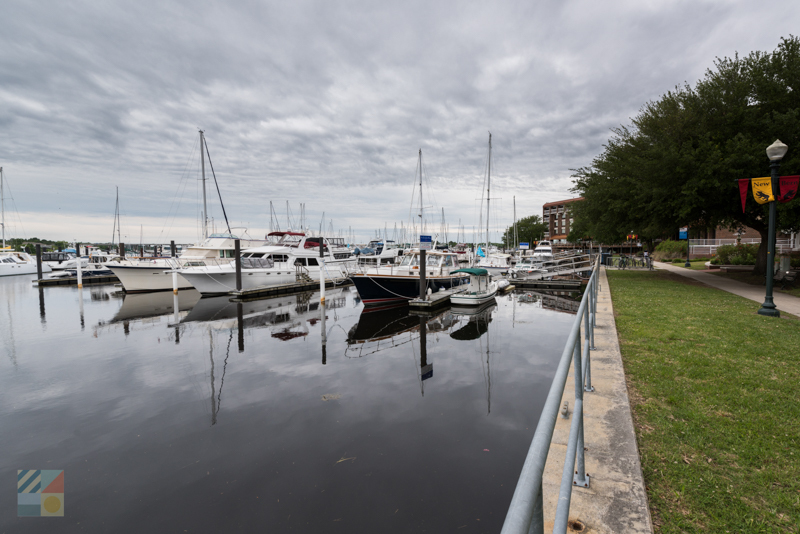 Visitors who want to enjoy a fishing adventure in the heart of the Inner Banks or even the Outer Banks will find ample options in the waterfront regions that surround the town of New Bern. With access to the Neuse and Trent Rivers, and the southern Outer Banks seashores located just 35 miles away, there are plenty of opportunities when it comes to fishing, and visitors will soon discover they have their choice of a myriad of inshore or offshore fishing adventures. Inshore fishing trips that depart from the New Bern area target a wide array of river species that can include speckled trout, striped bass, bluefish, Spanish mackerel, and flounder in the Neuse waters, as well as bass, bluegills, and crappie in the freshwaters of the Trent River. Offshore trips transport anglers well off the coast of North Carolina to the wide Gulf Stream current to target the large, saltwater catches. Fishermen who launch on this adventure will have an opportunity to reel in blue marlin, white marlin, and sailfish, as well as tasty game fish such as Mahi, tunas, king mackerels, amberjacks, snapper, and much more. While there are several smaller boat tour companies that can accommodate inshore fishing trips in the heart of New Bern, for the best variety, prospective anglers will want to head south to the towns of Morehead City, Atlantic Beach, and Beaufort. In this corner of the Crystal Coast, anglers will find dozens of different charter fishing trips that can accommodate a host of fishing adventures, including inshore trips to the local rivers and saltwater sounds, as well as extensive trips to the offshore Gulf Stream. Charter trips are typically seasonal and are available from March through November or even December, and advanced reservations are recommended to ensure a spot – especially during the prime summertime fishing season. With ample options that can accommodate anglers of all interests, exploring the amazing fishing grounds of the Inner and Outer Banks with an expert guide at the helm is an easy venture in this corner of coastal North Carolina. Mariners who don’t have a vessel along, or everyday vacationers who want to discover New Bern from a waterfront perspective, will find plenty of ways to get out and explore, thanks to the dozen or so tour boats and rental companies that can accommodate Inner Banks explorers. Downtown New Bern is home to a number of local companies that specialize in an array of different cruises which can include tug boat cruises, sailboat cruises, guided paddles, and everything in between. From afternoon or evening expeditions on board a local headboat to cool downtown excursions on board a small and authentic tug boat, there’s lots of ways to get out and explore via New Bern’s extensive waterfront cruising scene. In addition, visitors will find several boat or kayak rental companies both in the downtown area and in the surrounding Inner Banks and Crystal Coast regions. Visitors can explore the adjacent Neuse and Trent Rivers via an easy-going pontoon boat, a speedy Carolina skiff, or a simple kayak or stand-up paddle board, and will find ample places to launch in the local parks, like Union Point Park in the downtown area. For more cruise and boat rental options, visitors can also head to the nearby coastal town of Beaufort, which is located roughly 45 minutes away. Here, a dozen or more tour companies have set up shop along the water-bordering Front Street, and are readily available to take visitors on cruises to the nearby Cape Lookout National Seashore, Rachel Carson Reserve, and other unique points of interest. Regardless of whether a visitor wants to explore New Bern or the entirety of the Crystal Coast, the sheer variety and experience of the local tour companies are nothing short of outstanding. Research options ahead of time, and make reservations well in advance to secure a spot, as the local tours tend to fill up quickly. 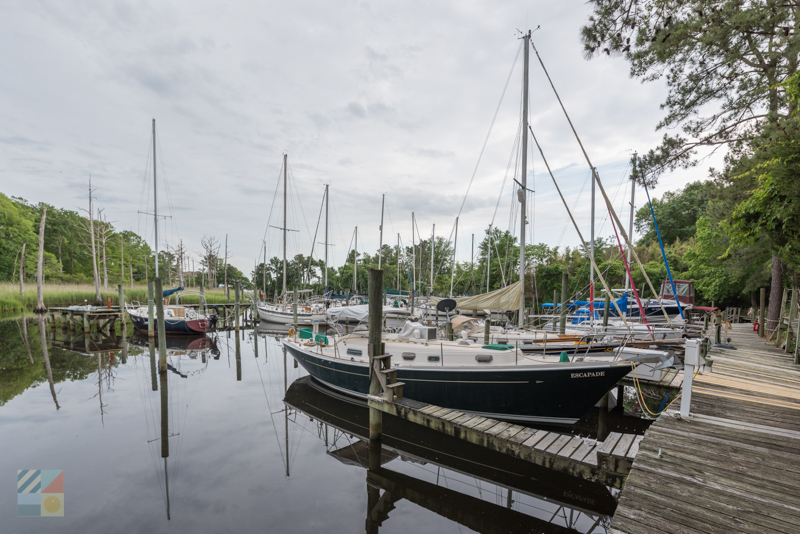 Roughly a half dozen boat dealers and service suppliers can be found in the heart of New Bern, making it a desirable location for both mariners on the hunt for a new vessel, or travelers along the ICW who are in need of some repairs. 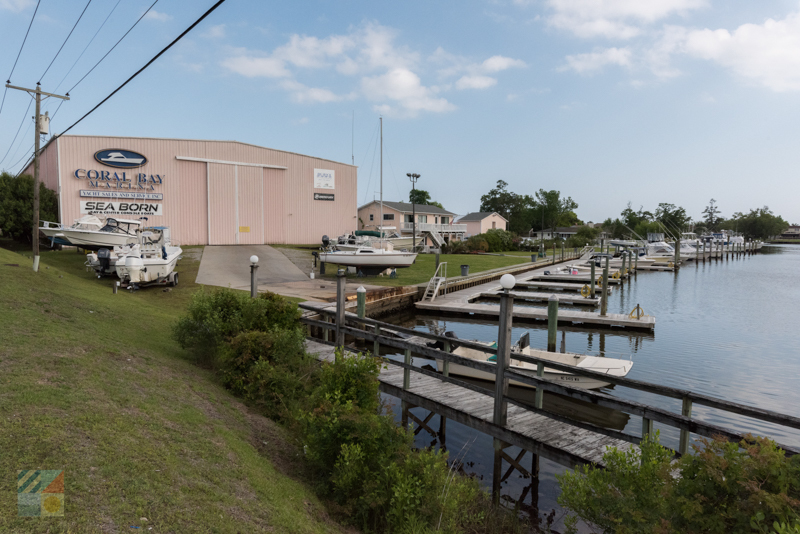 Several boat sale companies and supply stores are found in the heart of the downtown area, like Neptune Yacht Sales and Services and the United Yacht Sales of the Carolinas, which makes it easy to explore available options without venturing too far from the New Bern city center. 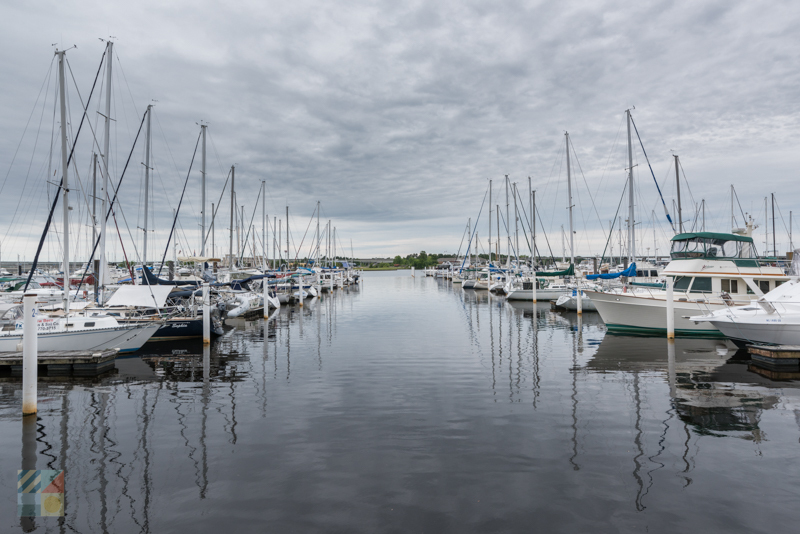 In addition, several marinas in the area – like the New Bern Grand Marina – may also offer on-site repairs and services, allowing travelers to dock for a night or two while acquiring some much needed maintenance for their vessel. 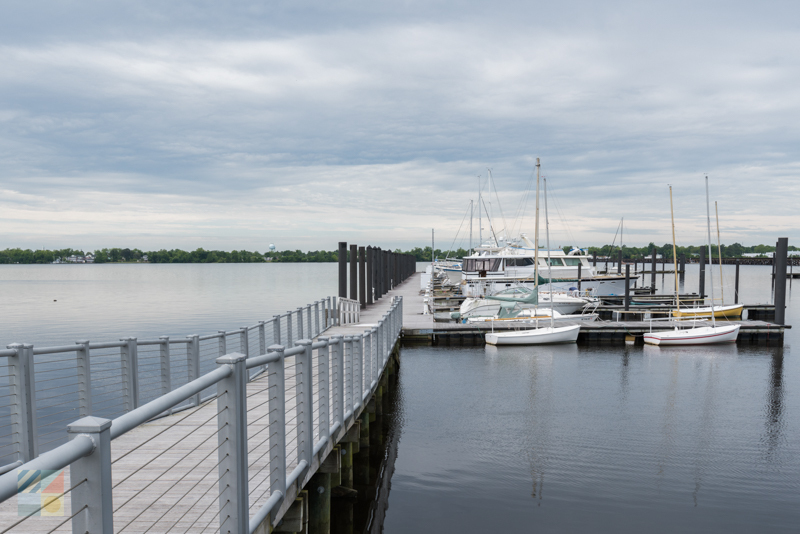 When it comes to repairs, New Bern is an ideal spot for docking, as many of the downtown maritime service providers are within walking distance of a host of amenities, including restaurants, shops, grocery stores, and area attractions. For more diversity, visitors can also drive south about 45 minutes to the coastal town of Morehead City. This barely-mainland town along the Crystal Coast has more than a dozen boat builders and boat sale companies, with a hefty supply of new and used vessels of all varieties – not surprising, considering that this town is the home of the annual Big Rock Blue Marlin Tournament, one of the largest fishing tournaments along the East Coast. Whether a mariner needs a brief repair or replacement part, or an entirely new vessel altogether, New Bern is an ideal destination for maritime supplies of all varieties, Check out the options sprinkled throughout the downtown area, or take a drive along US Highway 70 or US 17 to discover a myriad of new and used boats for sale. Because of New Bern’s proximity to the Neuse and Trent Rivers, and in turn the Intracoastal Waterway, the area is a hotbed for sailors of all varieties, as well as tour companies that can take visitors out on a sailing adventure with miles of views. Several sailing companies depart from the New Bern area, like Bolero Sailing Charters and the Palm Coast Tours & Sailing company, allowing downtown explorers to easily hop aboard for a sailing adventure, and ensuing unparalleled views of the downtown waterfront. Tour-goers may even get to “take the wheel” during a trip to try their hand at this beloved local watersport, or enjoy a narrated exploration of the region by an experienced captain and / or local guide. In addition, New Bern is nicely close to one of the sailing capitals of North Carolina, the town of Oriental. This community is home to numerous sailing stores and suppliers, tour companies, and even a famed sailing school where new and advanced students alike can “learn the ropes” in a waterfront environment. Thanks to relatively calm and wide waters that connect with both inner rivers and coastal sounds, New Bern is an exceptional sailing destination. Start with a sailing tour of the community to discover the sport, and then take your adventure to the next level by exploring the ample lessons, rentals, and even sailboats for sale that are abundant in this area. The Croatan National Forest is home to several campgrounds and destinations, like the impressive Flanners Beach Recreation Area, where visitors can explore the waters with ease. 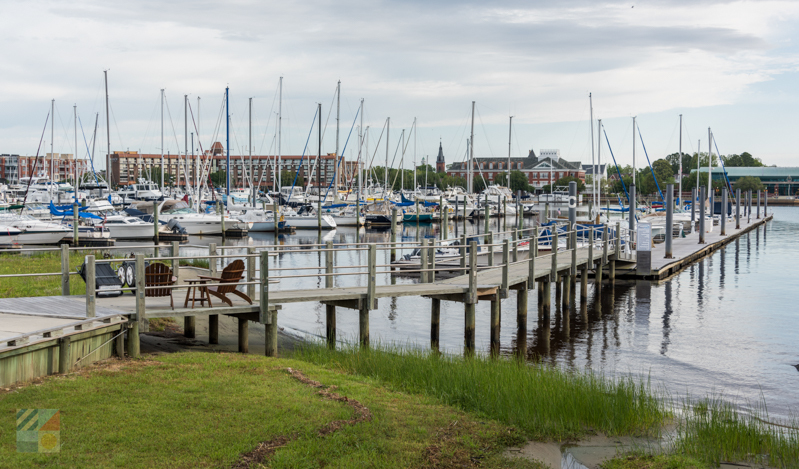 Scenic and packed with amenities, these destinations and / or campgrounds are great options for mariners who want to stay in New Bern on a budget. Mariners who want to launch from the downtown area will want to arrive early and / or have additional parking options available. 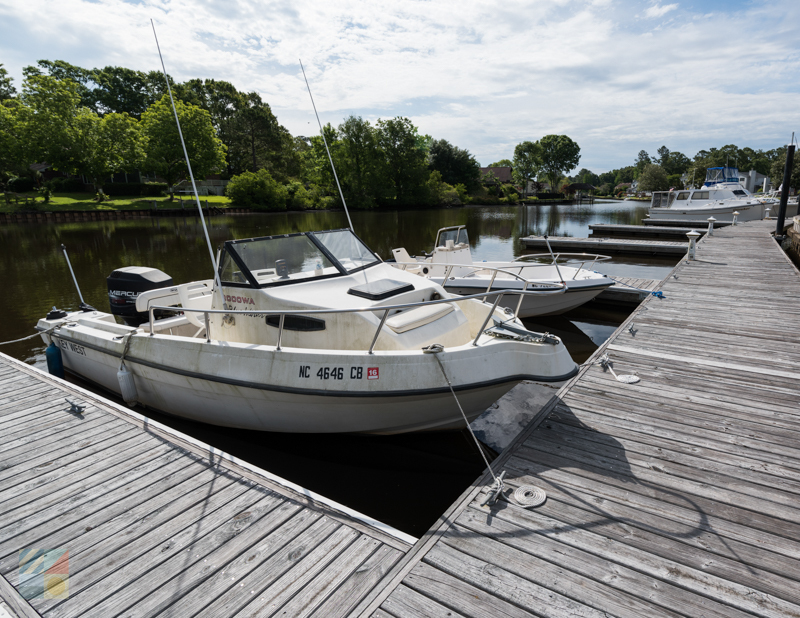 Both Lawson’s Creek Park and Union Point Park have exceptional boat launching areas, but they are also both popular with visitors of all varieties, which means that parking spots can fill up quickly. Any visitor to New Bern who loves the water will want to book an area-wide tour. The waterfront tours in New Bern are wonderfully varied, and can include trips or cruises on board a headboat, a tug boat, a sailboat, a pontoon boat, and everything in between. As a result, a waterfront tour is one of the best ways to explore the region, and capture some unbelievable waterfront photos. Want to extend an adventure? New Bern is wonderfully close to a number of popular destinations for mariners, including Beaufort, Oriental, and Morehead City, which are located all along this corner of the Intracoastal Waterway. Enjoy a day trip to multiple ports, and see how inviting the southern Inner Banks and Outer Banks can be. From plotting an East Coast expedition along the Intracoastal Waterway to enjoying a tour of the downtown area from a waterfront vantage point, visitors will discover that there is a lot to love about New Bern’s boating scene. Easily one of the most popular activities in the region, mariners of all varieties will feel right at home when they embark on a boating adventure from this authentically maritime-oriented community where the local rivers steal the scene.